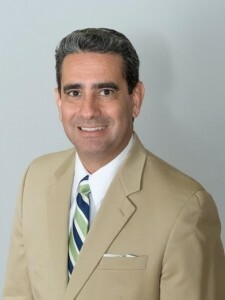 Cordoba Corporation’s Executive Vice President and Chief Operating Officer (COO) Randall D. Martinez, who serves as Vice Chairman of the Proposition 39 (California Clean Energy Jobs Act) California’s Citizens Oversight Board (COB), is pleased to announce that the COB delivered its 2019 Annual Report to the Legislature on March 29, 2019. California voters passed Proposition 39 in November 2012 to create jobs, save energy, reduce energy costs and greenhouse gas emissions, and provide job training and workforce development in related fields. By focusing on public schools, community colleges, and other school facilities, the California Clean Energy Jobs Act has created energy and cost savings, and has improved the classroom-learning environment for students and educators across California—all while advancing California’s broader climate and energy goals. “I was first appointed to the Proposition 39 COB by the California Attorney General in 2014 and re-appointed by Attorney General Becerra in 2018. During this time, I have witnessed significant and tangible results from Prop 39 programs and believe this work needs to continue,” stated Randall D. Martinez. “With the publication of our annual report, I join NextGen America’s Tom Steyer, an early supporter of Prop 39 (see Statement from NextGen), and strongly encourage the Legislature to continue this work and adopt the recommendations as outlined in our report,” stated Mr. Martinez. Provide annual appropriations to the Clean Energy Jobs Fund, to allow for continued energy savings, emission reductions, and jobs at California’s public schools. Support the Energy Conservation Act Assistance Education Subaccount (ECAA-Ed) revolving loan program, which is one of the most fiscally responsible energy programs in California, as a target for long-term funding. Provide direct support to the Workforce Development Board’s Pre-Apprenticeship Training Pilot Program. Funding/capacity for manual on best practices. The 2019 Annual Report and Appendices, as well as detailed information about the above recommendations to the Legislature, are available at the enclosed link: Prop 39 California’s Citizen Oversight Board 4th Annual Clean Energy Jobs Act Report to the Legislature.